The weather was less than perfect for Royal Princess' maiden arrival at Southampton, but it began to clear as she entered the harbor, and the well-wishers on shore got their first glimpse of the new ship. 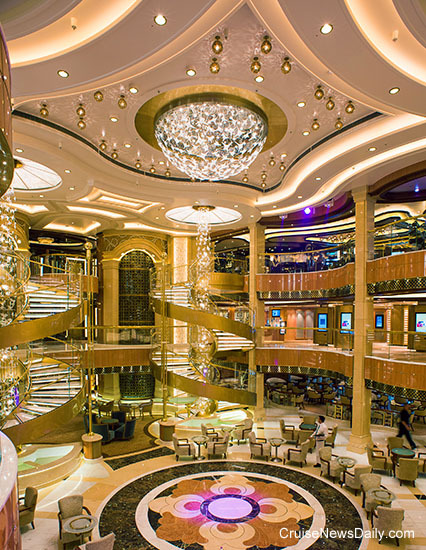 Here's a quick peek for our readers of the glistening new ship, inside and out. Photos and video courtesy of Princess Cruises. 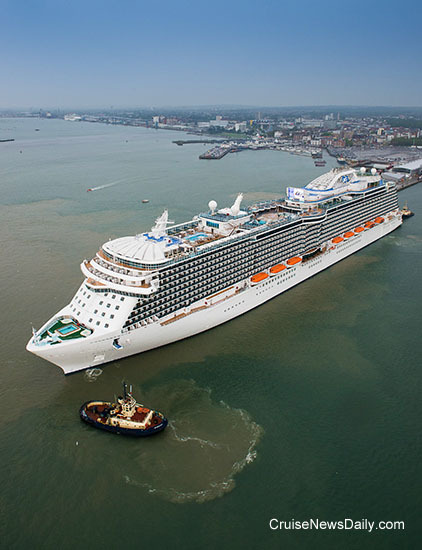 Royal Princess is currently sailing from the shipyard in Italy to Southampton where the inaugural activities will take place. It's scheduled to arrive on Friday morning (June 7, 2013). Along the way the crew turned out on deck for the traditional inaugural crew photo. Do you see anyone you know? Wine enthusiasts sailing aboard Royal Princess will have two new opportunities for premium experiences, the Winemaker Dinner, and the Super Tuscan Wine Tasting, as shown in the short video below. As we note in the full CND article, they are part of the evolving premium dining experiences that are being developed in the cruise industry. 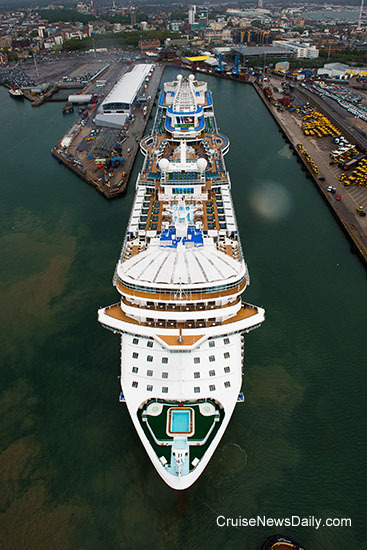 The complete article appeared in the June 5, 2013, edition of Cruise News Daily. 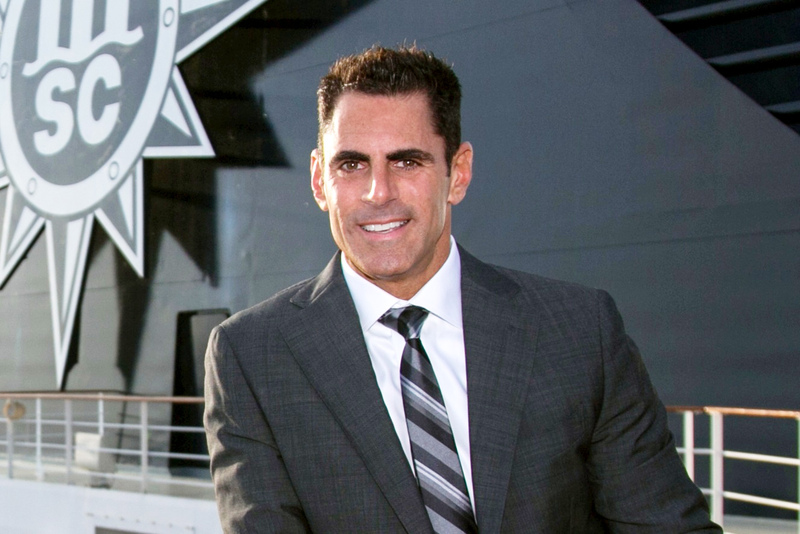 MSC Cruises (USA), Inc. today announced that industry veteran Ken Muskat has joined the company as Senior Vice President of Sales and Marketing effective June 3rd. In this role, he will be responsible for overseeing sales, marketing, public relations and customer service for North America. He will report to Richard Sasso, MSC Cruises (USA) President and CEO. Muskat comes to MSC with more than eighteen years’ experience with Royal Caribbean International. Recognized for exceptional sales, marketing and leadership abilities, Ken has served in a variety of senior executive roles. Prior to joining MSC, he was instrumental in successfully leading marketing, sales, consumer outreach and onboard revenue initiatives for Royal Caribbean. During this time, he hosted the cruise industry’s first weekly online radio show for both travel agents and consumers, which ran for 22 weeks reaching over 24,000 listeners a week. Early in his career, Ken was twice named one of Travel Agent Magazine’s “Top 100 Rising Stars of the Travel Industry”. More recently, he was a recipient of University of Hartford’s Anchor Award, the most prestigious honor presented by the university’s alumni association to recognize graduates who have achieved the highest levels of professional accomplishments. Ken currently serves on the Board of Directors and as Vice President of the Children’s Cancer Caring Center, the only free treatment center for childhood cancer in the southeastern United States, and is an annual contributor and supporter of the United Way. He is a graduate of University of Hartford, holding a Bachelor of Arts Degree in Communications and Advertising. Cunard announced management structuring changes this morning that will affect both the Cunard brand and the P&O brand. New positions will report into Gerard Tempest, the chief commercial officer, who will head up both brands and be based in Southampton. Tempest will continue to be a member of the Carnival UK executive team lead by CEO David Dingle. In announcing the new structuring, Cunard said, "As a consequence, and after very careful consideration, the role of Cunard president & managing director will cease to exist, and Peter Shanks will be leaving the business at the end of September." Carol Marlow, the managing director of the P&O brand will also be leaving the business at the end of September. New positions of marketing director and insight director have been created and are in the advanced stages of recruitment. Those positions will function alongside the existing positions of international development director, sales & customer services director, and commercial director. As a result of the changes, David Dingle is assuming the titles of CEO Cunard Line and CEO P&O Cruises. 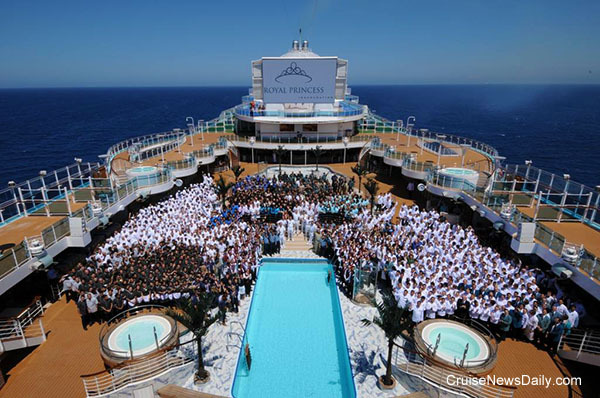 When Royal Princess debuts next week, so will a new service called Princess@Sea. The free app will work on iPhones, iPads, Androids and even Kindle Fire. Once connected to the ship's WiFi, the app will show an electronic version of that day's Princess Patter, your stateroom account, and other interactive ship information. The service will debut on Royal Princess, and then roll out to other ships in the fleet. Scott Thompson, a highly accomplished professional with seventeen years of experience in global supply chain management, has been named vice president – supply chain for Miami-based Carnival Cruise Lines, the world’s largest cruise operator. Thompson will start June 10, reporting to Ruben Rodríguez, Carnival’s executive vice president – ship operations. In his new role, Thompson will be responsible for overseeing the company’s procurement strategies, supply base, contract negotiations and purchasing. He most recently served as senior director of strategic sourcing for Honeywell Corporation, a Fortune 100 company focusing on technologies encompassing such areas as energy efficiency, clean energy generation, safety and security, globalization and customer productivity. Thompson also served for five years as a U.S. Navy officer. “We are privileged to have Scott, a highly experienced professional with a proven track record of success and leadership skills, take on this significant role within our supply chain team,” said Rodríguez. Thompson earned a master’s of science in international management from Thunderbird School of Global Management in Glendale, Ariz., as well as a bachelor of science in systems engineering at the United States Naval Academy in Annapolis, Md. Carnival is "The World's Most Popular Cruise Line®" with 24 ships operating three- to 16-day voyages to The Bahamas, Caribbean, Mexican Riviera, Alaska, Hawaii, Canada, New England, Europe, Panama Canal, New Zealand, the Pacific Islands, Norway, the Baltic and the British Isles. The company’s 25th ship, an as-yet-unnamed 135,000-ton vessel, is scheduled for delivery in winter 2016.